With the Defence Secretary having released the annual Armed Forces Covenant report, I wanted to write to explain what we as individuals can do to support the covenant and also to outline some of the tangible achievements of civil servants over the last 12 months. The Covenant is a promise from the nation that those who serve or have served in the Armed Forces, and their families, are treated fairly. What does that really mean and who does that really help? Why might ‘those who serve’ not receive fair treatment? 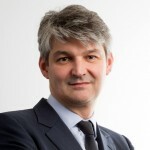 And why and how can we all fulfil the Covenant promise as civil servants? Service personnel, their families and veterans can face a number of challenges in accessing goods and services that other citizens might take for granted. Ensuring that their children receive an uninterrupted education, keeping a place on an NHS waiting list or obtaining a mortgage when Service families are regularly moving between postings, can all prove more difficult than you might imagine. These examples demonstrate some of the challenges of military life. They are the everyday sacrifices that the Armed Forces Community makes. They do so willingly in protection of our society, and it is our collective responsibility to work to overcome the difficulties they face. The Armed Forces Covenant is a promise, enshrined in law, that as a nation we accept that responsibility. It seeks to fulfil the promise through a combination of policies and projects focusing on key areas including: healthcare, education, accommodation, commercial disadvantage and employment. And so, the Armed Forces Covenant can only be successfully implemented as a collaborative effort across government and beyond, involving departments of state including Defence, Communities and Local Government, Health, Education, and Work and Pensions, as well as businesses, charities and local authorities – all of which have staff on the frontline of delivering services to the Armed Forces Community and many of whom have staff serving in the Reserve Forces. Firstly, we can be aware of the Covenant and spread awareness further. If we have friends or relatives who serve or who have served, we can make sure they know that support is available to them. Talk about the Covenant in your local communities. More information about the Armed Forces Covenant and the support it provides is available at www.armedforcescovenant.gov.uk. Secondly, we can increase understanding of it. If you are a civil servant working in a department that delivers services to Service personnel, their families or veterans, work with frontline delivery staff to ensure they are aware of the special requirements that the Armed Forces community may have, and what measures are in place. The Armed Forces Covenant introduced a new brand in 2016 to make communicating on the Covenant more streamlined and impactful, so if you are communicating with staff about the Covenant, take a look at the brand guidelines to get started. And, thirdly, we can champion it. Share best practice ideas across your department and across the wider Civil Service, and let the Armed Forces Covenant team know what you are doing. Let best practice become normal practice. You can share your stories and ideas, here or email armedforcescovenant@ddc-mod.org. What have we already done and what can we still do? To demonstrate what the Covenant looks like in practice, here are a few key achievements recorded in this year’s Annual Report. Over 73,000 children from Service families will benefit from the Service Pupil Premium – funding of £300 per pupil per year, which schools can apply for to support Forces children with the additional pastoral care they might need when moving to a new school, or when a parent is deployed away from home. Health Education England, supported by NHS England, launched a new e-learning tool for healthcare, where GPs and other healthcare professionals can increase their awareness and understanding of the needs of the Armed Forces Community. So far, the site has received great feedback and over 1,500 users have registered since the programme’s launch in June. 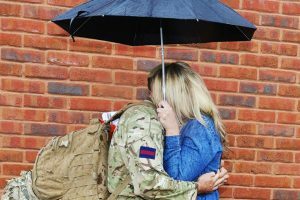 The Department for Communities and Local Government has extended the period within which former Service personnel and surviving partners are given priority for government-funded shared ownership schemes from 12 to 24 months after service. 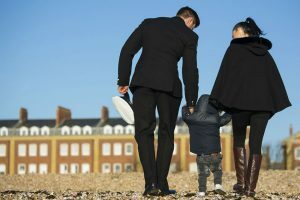 The department has also confirmed that Service personnel are able to sublet their homes bought under government schemes when they are deployed elsewhere and required to relocate. There are great examples of how local communities are putting the Covenant into action, with schemes including local councillors acting as Base Champions, and support given to families returning from British Forces Germany to new communities in Wiltshire. The Local Government Association, in partnership with Forces in Mind Trust, completed a study of over 400 representatives of local authorities to create a Covenant toolkit for local councils. This will help to spread best practice in Covenant delivery across the United Kingdom. There is a lot more that needs to be done and we can’t rest on our laurels. The Armed Forces Covenant Annual Report identifies areas where more work is needed – for example, around helping personnel make the transition to civilian life at the end of their service, or improving the transfer of information on Service children between schools. Yes but haven't the Government of the day broken the Covenant by not supplying troops with the necessary equiptment they need on the front line? What about the many homeless ex servicemen on the streets? Why has no thought been given to them. And on a related note, cutting back on exisiting troops and military budgets/equiotment is also a breach of the Covenant and not only puts those on the front line at risk, but the security of the country as well. I am sorry to sound so negative, but there can be no excuse for the Government of the day breaking the Covenant. It is a disgrace.